of design. P/NP or letter grading. 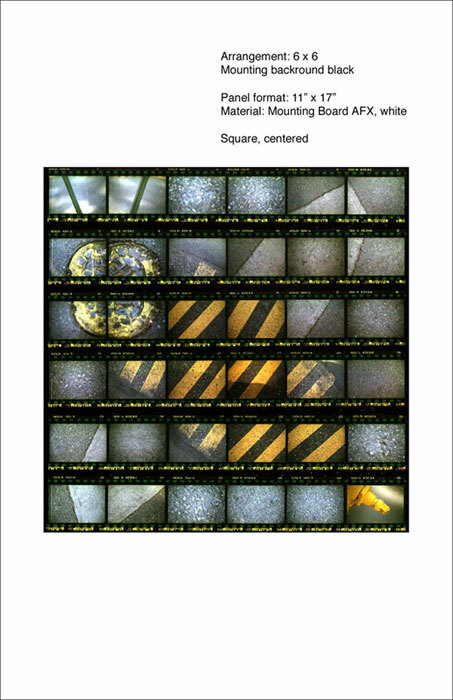 If you are developing your contact sheets at Bel Air Camera, ask for ImageExperts processing - that�s the one that looks square and not rectangular. Week 3 Tue. Apr. 20 - Wall: Contact sheet "square"
- Quickie "Line-Project": 12 ideas for project "Line" as painting/drawing (3), photography (3), video clip/ film (3), sculpture/ architecture (3). Turn 3 ideas into 3 project proposals for digital presentation. - Wall: Contact sheet "free"
Week 5 Tue. May. 4 - Digital presentation: "Line project" 1) "Memory images" 8 Close up's, show as less as possible but just enough to make an image recognizable. Size 3.5"x3.5" on cardboard. 2) Memory game out of 2 x 8 images within a web site (Flash). Introduction to image processing. 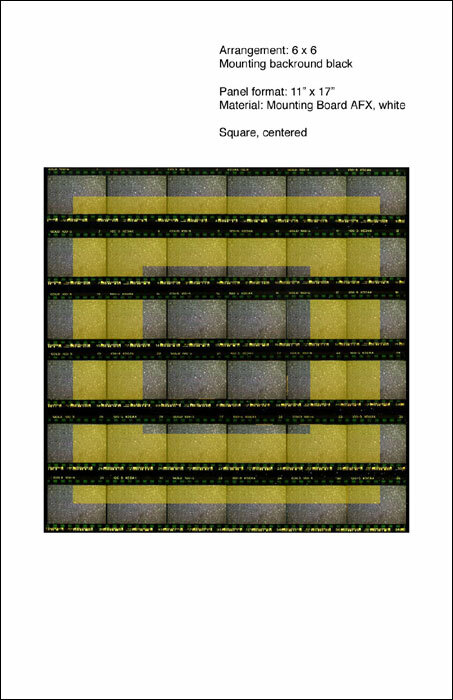 - "Image Processing" 9 Images, making 2D images through an understandable process. Size 3.5"x3.5" on cardboard. - Digital presentation "Image Processing"
"Object video": 3 ideas for 20 seconds long video project about a single object. background neutral, object static, light and camera can be in motion, no hand hold.